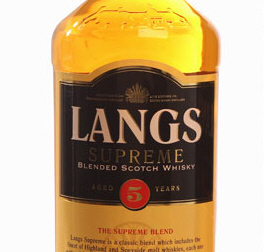 Another old blend Lang’s Blended Scotch Whisky was first produced in 1861. A high malt content mainly the renowned Glengoyne gives it a rich full flavour, fresh and medium sweet. An excellent tipple well worth the price, and when you compare prices below you’ll get guaranteed best value.